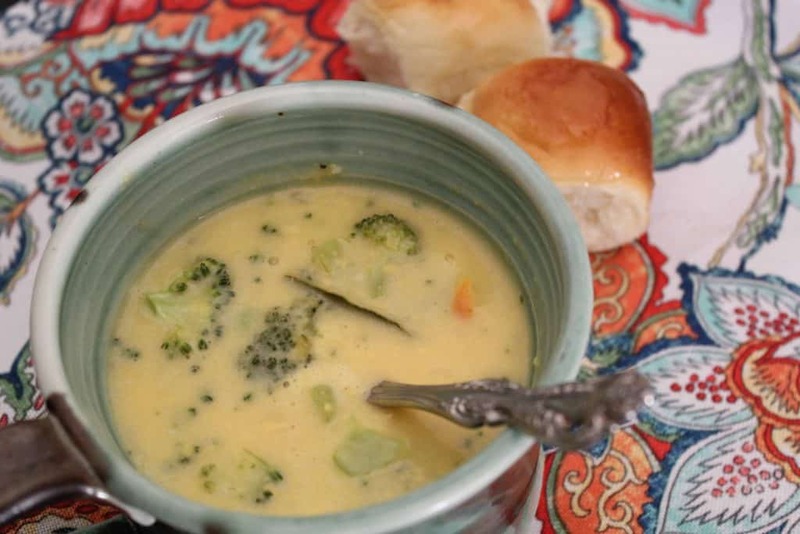 Broccoli Cheese Soup is an all-time favorite and this recipe is the real deal-no additives, preservatives, or fake cheese here! 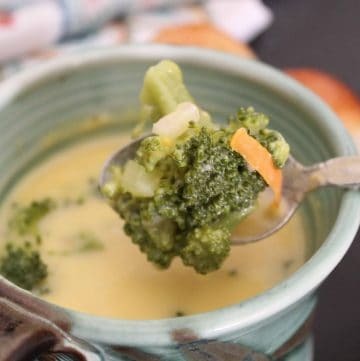 Broccoli Cheese Soup is one of the more popular soups you’ll find in restaurants; however, most of those soups have additives, preservatives and questionable cheese. This recipe includes all natural ingredients–it’s the real deal! How Do I Select the Best Broccoli? Yes. Rinse the frozen broccoli first, and allow it to drain in a colander prior to adding it to the soup. Should I Use Stock or Broth? Commercially made stocks and broths closely resemble one another but, generally speaking, stocks tend to have less sodium. You’ll want to check the Nutritional Value on the package and choose the one with the least sodium. The reasoning is this: the cheese already provides enough sodium, so you don’t need to add more. What Type of Cheese Should I Use? The best results come from a high-grade aged cheddar. The longer a cheddar is aged, the sharper it tastes. Mild cheeses are aged from 2-3 months; sharp cheeses are aged a minimum of one year. I do not recommend using pre-shredded cheese as these are often treated with preservatives and additives. I’ve found this aged cheddar to be pretty impressive when making this soup! Can I Freeze or Refrigerate the Soup for Later? Yes. If frozen, make sure you put the soup in a freezer-safe container. If refrigerated, the shelf life is three days. If you elect to re-heat the soup, you may want to add more stock or water, as the ingredients tend to coagulate, or thicken. 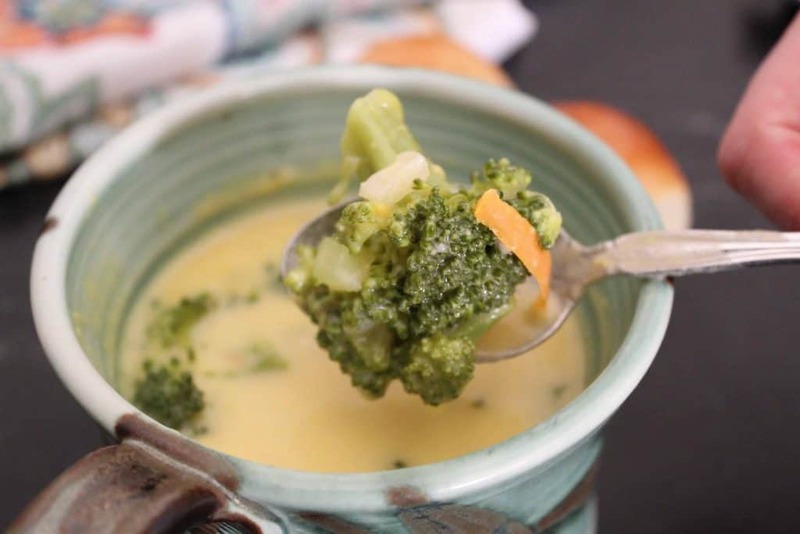 Nothing beats homemade Broccoli Cheese Soup with no additives, preservatives or fake cheese! This is the Real Deal! If you like the sound of this recipe, you might want to check out Perfectly Roasted Broccoli!